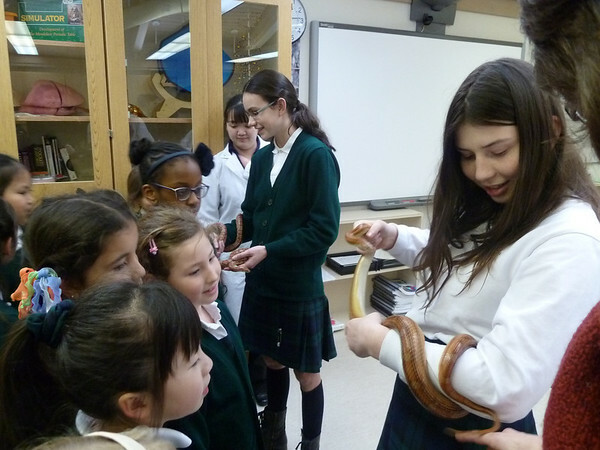 Guinea pigs, Snakes & Mind-Bending Experiments! The Gr. 2’s visited with some very interesting residents of the Sr. Science Wing! Feb 22 was a very special day for the Grade 2 students. They were the guests of the Senior School Science Club, the Animal Care Club and Senior Science teachers. 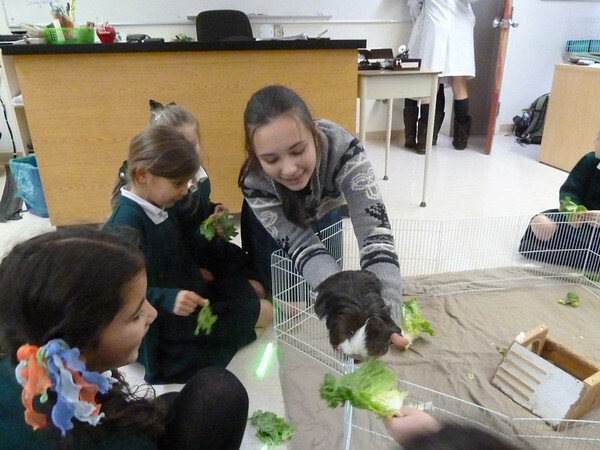 The girls had an amazing opportunity to see some of the wonders of Biology, Physics and Chemistry by visiting the corn snakes, guinea pigs, and testing theories to understand gravity to making fluorescent chemical reactions and even Elephant’s Toothpaste! The girls are looking forward to one day becoming Senior Science students themselves. YHS has guinea pigs? Who knew! This special Open House was very well organized by the Senior Science Club, Animal Care Club and teachers, Dennise Dombroski, Allison Waterhouse and David Riendl. The Grade 2’s appreciated all of their hard work. Special thanks to Dennise Dombroski, Alison Waterhouse, David Riendl and the Senior students (Jessica W., Taylor S., Megan S., Nicole T., Marielle M., Hazelle W., Amber L., Anna B., Poljanka J., Ellen C., Jessica X J. and Denice W.) for their presentations and sharing their love of science with the Grade 2’s. The Grade 2’s love Science!